I would have to disagree with Adam. Using BolehVPN’s new firewall bypass which transforms traffic to look innocent and successfully bypasses the GFW. Other VPN providers experiencing similar problems as well (I use a few for security) but BolehVPN’s response was pretty quick and unique in resolving this issue. Speed is slightly slower with the new bypass but I’m ok with it if it means a longer term solution. Does not work well in Beijing. I signed up for Boleh after reading all the good reviews here. Unfortunately, only a single server (GreatFirewallBypass) can go through and that one runs at 0.25Mbps download (I’m at 11Mbps download without). With the new HK server I’m a happy camper! They really listen to customer feedback! Speeds are fantastic as well compared to HMA. I have only started using a VPN, at the start I had a lot of trouble trying to get it to work.After a lot of hard work by the support team ( Chris ) who got me up and running after spending hours with me, it is now working fine. 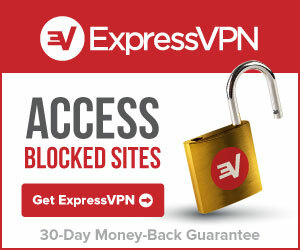 I am very happy with the service and will gladly recommend their service to any one who is looking for a VPN provider. I have been a customer for several years now, since the very first time i tried the service has been smooth and easy to setup but i have to say it has improved a lot in usability, now is very nicely automated from the ordering and activation to the installation and configuration updates. Support is friendly and responsive and they have a choice of regional servers. Constantly improving its service, fast speeds, and a responsive support team. Couldn’t ask for more! 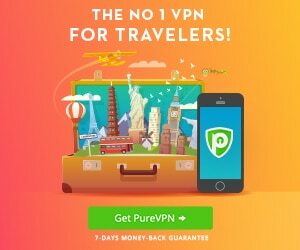 Out of all the VPN providers I’ve tried, they seem to be the most in touch with customers, listening to customer feedback and adjusting its service accordingly! Great support, great speed, great variety of server locations, great prices. I travel all over the world and connect wherever I can, and Boleh gives me the hookup on both my laptop and Android tablet. Their Windows client is easy to use and does all the legwork for you. I’ll be renewing my annual subscription when the time comes. I’ve only been a bolehVPN user for a little while but I have to say that my experience with it has been great, can’t complain about the speed and things like that while any hiccups I’ve encountered have been sorted out by its efficient support team, love the customer friendliness! Could get it working at first however the help team (chris) sorted it very quickly for me, so up and running and all happy. Been a customer for around four years. Took a while to choose a good VPN provider but glad I took the time. Installation is easy and well documented, payment quick and secure, renewal is simple and deployment is very robust. Definitely would recommend this to friends (and have done! ).